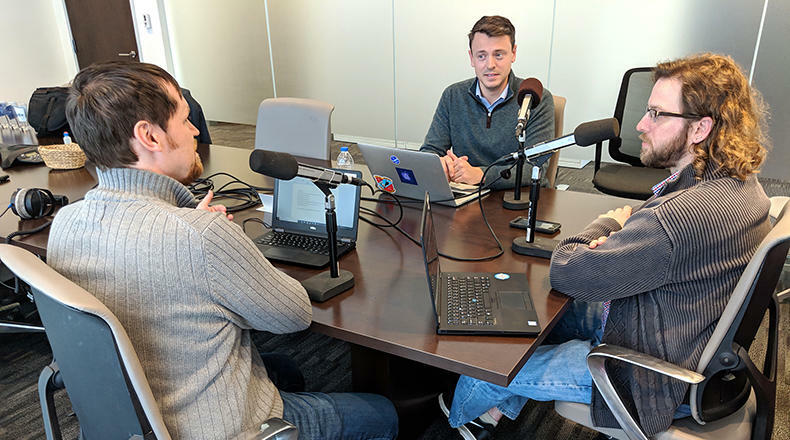 Gavin Jackson speaks with Nathaniel Cary (l) and Mike Ellis (r) in the Greenville News offices on Friday, February 1, 2019. On this edition of South Carolina Lede, host Gavin Jackson speaks with Greenville News reporters Nathaniel Cary and Mike Ellis about their new series "Taken" about civil forfeiture by South Carolina law enforcement. The pair, along with fellow reporter Anna Lee, combed through more than 3,200 records to compile a comprehensive database of civil forfeiture incidents. Most of the seizures were tied to illegal activity while others have raised questions about the practice which has limited oversight and brings in millions of dollars in revenue. You can read more about the series on the Greenville News webiste here. Then South Carolina Public Radio's own Statehouse Reporter Russ McKinney stops by to quiz Gavin about South Carolina history in this week's Did You Know segment. On this edition of South Carolina Lede, host Gavin Jackson discusses the future of medical marijuana in South Carolina with Post and Courier Statehouse Reporter Andy Brown and South Carolina Public Radio's own Statehouse Reporter Russ McKinney. Debate over the issue rages on with advocates touting massive statewide support to legalize the drug for a handful of medical conditions while opponents, especially law enforcement, say a recently introduced conservative bill to allow prescription marijuana poses risks to the state.